A unicorn in bowling shoes is quite a STRIKE-ing sight. But for nine-year-old Phoebe Howell, it's just another fun outing with her best friend, the illustrious unicorn Marigold Heavenly Nostrils. This unique and magical friendship is at the heart of the ninth Phoebe and Her Unicorn collection, which includes adventures such as writing original songs, publishing rival news websites, and making a summer visit to the exclusive Camp Shimmerhorn. 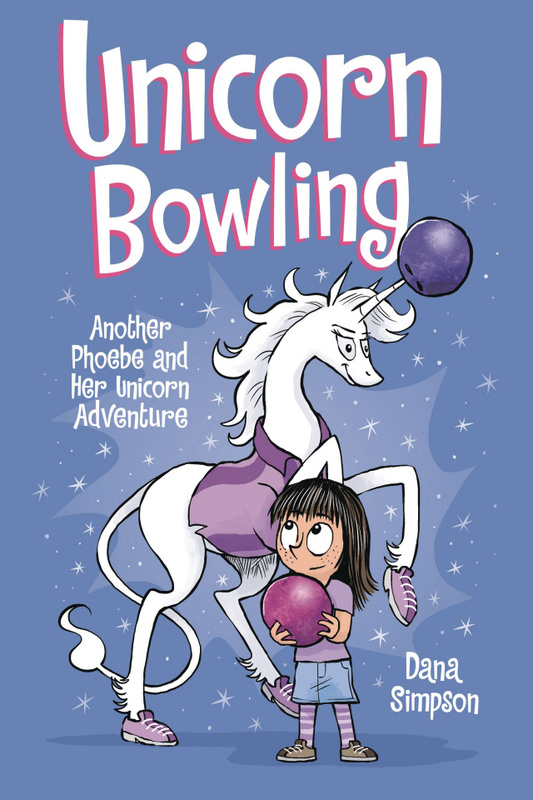 Life with a unicorn BFF is not without its challenges, however, and whether it's homework, friction with classmates, or talent show jitters, Unicorn Bowling is full of amusing, heartwarming reminders that when the going gets tough, the tough get sparkling!